You probably chose VP-Cart for your eCommerce solution for two reasons. First, VP-Cart is an easy to use open source shopping cart, which it is. Secondly, you heard about how you can connect VP-Cart to your Google account and setup SEO preferences, making it easier for customers to find you using Google and other major search engines. While you may understand the SEO basics of VP-Cart, there are so many features and options available that unless you are an expert, you may not get all of the benefits of this awesome tool. Luckily, Coastal Data Management has a solution that can make a big difference in your results. 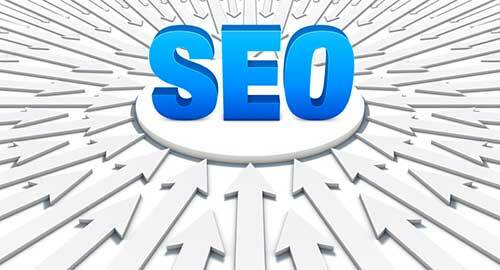 We offer VP-Cart SEO analysis and setup. CDM will review the backend of your VP-Cart and your Google setup to see if you are taking advantage of everything that is offered. We produce a detailed report of what is missing and how it will affect your performance. You can fix the issues yourself, or if you would like to hire us to set it up for you, we can get you up and running. Either way, you will have a better idea of what you need to do to maintain SEO performance in the future. SEO-Friendly Page Names - If you do not set up this aspect correctly, you could wind up with URLs that hurt your ranking with Google. We can help you create custom titles or show you how to generate SEO-friendly names automatically. Google Add-ons - Google products like Google Location Map, Google Sitemap, and Google Analytics are amazingly helpful tools - but only when properly installed and utilized. Meta Tags - We review your current tags and make sure you have meta titles and descriptions that meet SEO guidelines. H1 Headings - H1 tags are a vital way that Google "scans" your page. Using these correctly is key. Blog and News Modules - Using the blog module in V-PCart is easy. We'll make sure yours is set up correctly and explain how it improves SEO. Featured Products, Cross Selling, and Product Reviews - These built-in features help you sell "in the platform", but can also boost SEO too, when you utilize them properly. Social Media - Today, social media is everywhere -- VP-Cart is no exception. Connecting the cart to social media boosts social sharing and your web presence in general. Robots.txt - This simple file can make a big difference in how your eCommerce platform appears to Google and the other search engines. We will check to see if you are using it or help you with the set-up. When you set it up correctly, VP-Cart is a smart marketer's dream. Let CDM help you get the best possible results and take your eCommerce business to the next level.